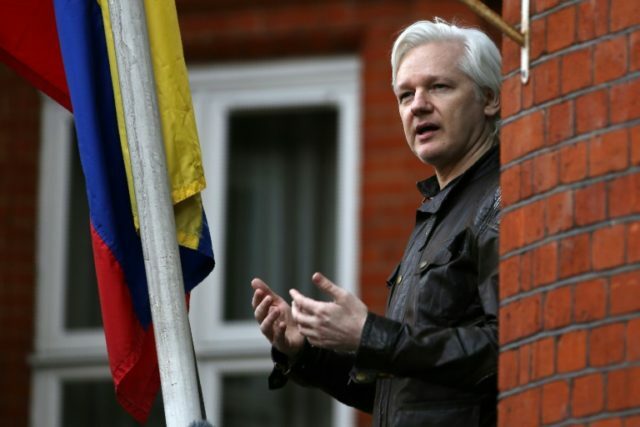 The shocking news Thursday morning that the government of Ecuador invited British police into its embassy in London to arrest Wikileaks founder Julian Assange left many questioning why the Latin American country, which protected Assange for over half a decade, now felt comfortable letting him go. The move by President Lenin Moreno – a socialist in name only who has used his tenure in office to liberalize the country after a decade of socialist rule – is the latest salvo in his ongoing campaign to erase the legacy of predecessor Rafael Correa. Moreno is a member of Correa’s socialist party and became president after the latter threatened to dismantle the entire government if Ecuadorians did not elect his hand-picked successor. Yet he has all but eviscerated the relationship Correa cultivated with Marxist dictators in Venezuela and Cuba, demanded a revision of the country’s ties to communist China, and led a probe into Correa’s tenure that culminated in an arrest warrant for the former head of state. This week, Moreno cut yet another Correa-era alliance, this time with a controversial antagonist whose only use to Correa was to annoy the U.S. government and help him cover up for authoritarian acts against Ecuadorian journalists. Moreno called Assange “disrespectful and aggressive” and accused him of “threatening declarations against Ecuador.” Beyond Assange’s personal behavior, however, Moreno argued that keeping him protected at the embassy violated international law. “Ecuador’s patience with the behavior of Mr. Assange has reached its limit,” he concluded. Correa was among the first on Twitter to condemn Moreno, writing from exile in Belgium. Correa does not mention that Moreno’s government, not his, extended the courtesy of citizenship to Assange. Correa went on to call Moreno “the biggest traitor in Ecuadorian and Latin American history” in a barrage of Twitter posts. At press time, Correa has insulted Moreno on Twitter 12 times, not counting retweets of others’ insults. Reports and rumors that Moreno sought to evict Assange have circulated repeatedly in the past year, reaching a fever pitch when Assange attempted to file a lawsuit against the Ecuadorian government in October for “violating fundamental rights and freedoms” while he stayed at the embassy. Assange was particularly offended by Ecuador’s demand he pay his internet bill if he wished to use the service, though reports also listed among Ecuador’s requests matters less clearly related to “fundamental rights and freedoms” such as Assange’s refusal to clean up after his cat. The Ecuadorian courts dismissed the suit. The Ecuadorian government’s issues with Assange aside, his status as a Correa-era bargaining chip proved of little value to Moreno. When Assange took refuge in the embassy in 2012, socialism was ascendant in South America and then-Ecuadorian President Correa had allied himself with the region’s worst leftist dictators: Cuba’s Fidel Castro and Venezuela’s Hugo Chávez. Correa had just begun emulating the Chávez tactic of shutting down opposition media networks when Assange’s legal situation made state protection – from any state – a must. Correa took the opportunity to lend Assange a hand, claiming to protect the right to a free press and a win against perennial Latin American leftist bogeyman “imperialism” in the process. “They don’t realize Latin America is free and sovereign. We won’t tolerate interference, colonialism of any kind,” Correa said of the British at the time. It took little time for Moreno to use his presidential powers to shift Ecuador rightward. Under Moreno, Ecuador reversed policies to silence critics in the media and liberalized the economy. It stopped pouring funds into Telesur, a far-left propaganda network largely controlled by Venezuela and Cuba. It has begun reevaluating oil deals with China that may have cost the Latin American country millions, presumably in exchange for political support on the global stage. Those deals resulted in Ecuadorian courts first subpoenaing Correa to testify, then ordering his arrest. Moreno’s government has also enacted presidential term limits to block Correa for running for office again. Tensions between Moreno and Latin America’s leftists, who once considered him one of their own, will likely continue to worsen as the Venezuelan political crisis continues, bringing the economies of its allies like Cuba down with it. With Assange’s arrest, Moreno has signaled to those powers that he has no intention of returning to their circle.